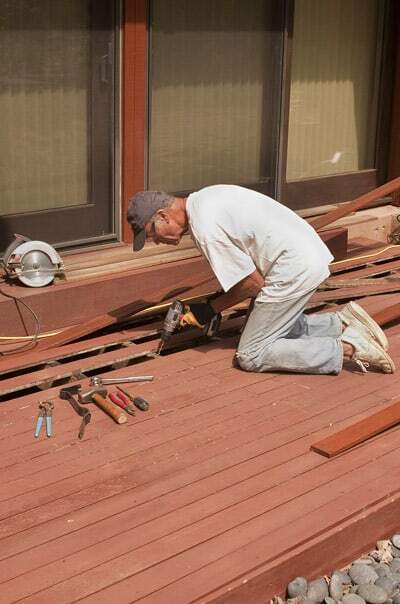 Building new decks for decades, Badger Handyman can handle all your deck and patio needs. Mark Hastreiter spent many years building custom homes with custom decks so you can trust he will be able to build a deck to your needs. Take a look at the great guide by Better Home & Garden for some design inspiration for your patio and outdoor space. Part of the responsibility of owning a deck is ensuring it remains clean and sealed from the elements. Extreme winter conditions take their toll on any structure. By protecting your deck properly you’ll be able to extend its life significantly. Looking for more inspiration? Check out our deck & patio pinterest page.